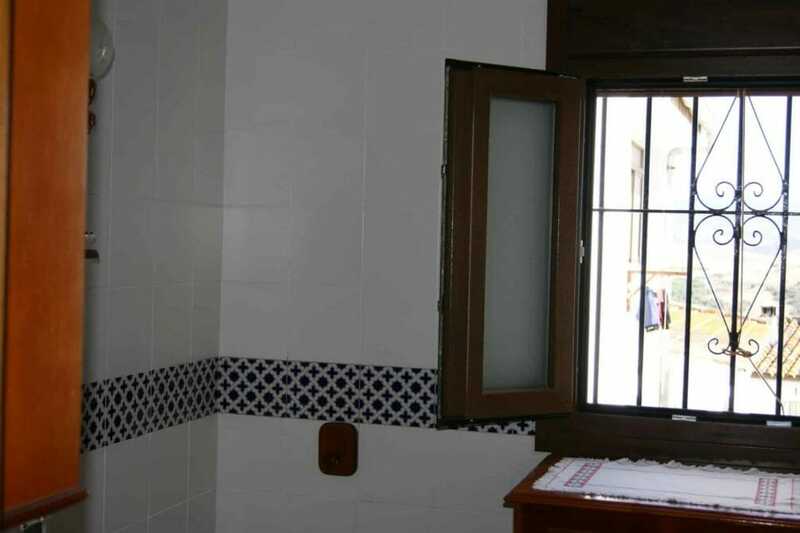 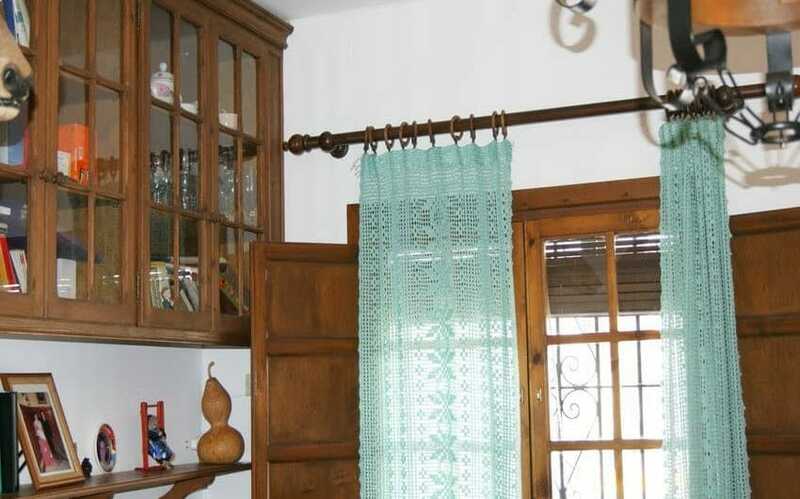 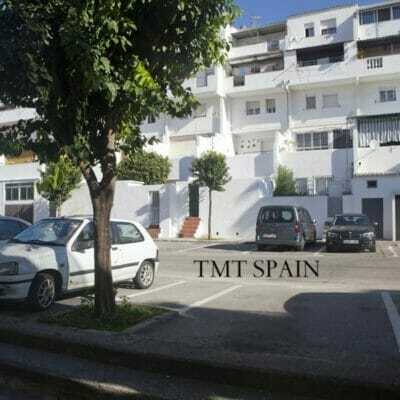 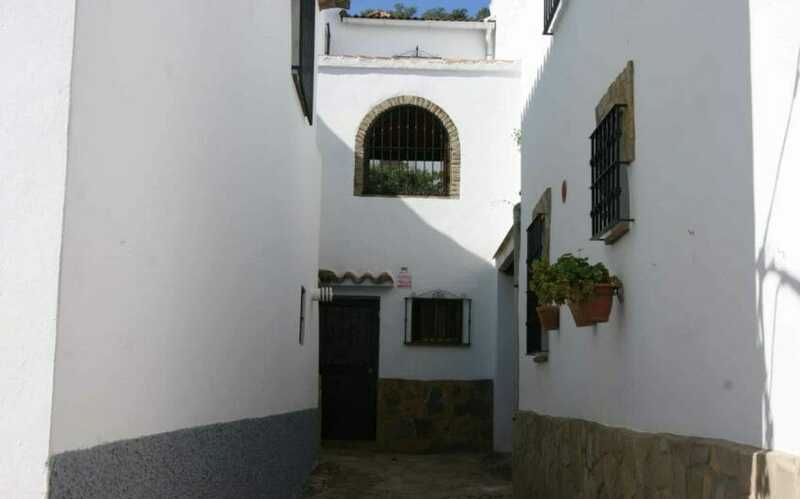 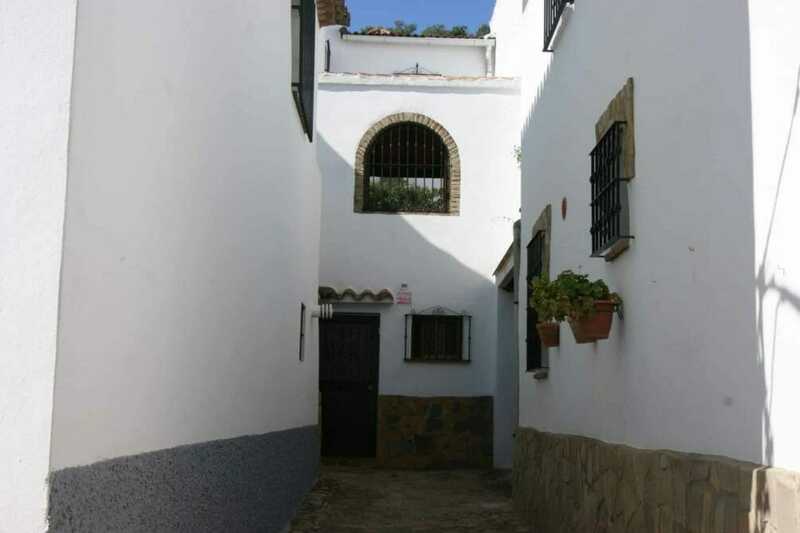 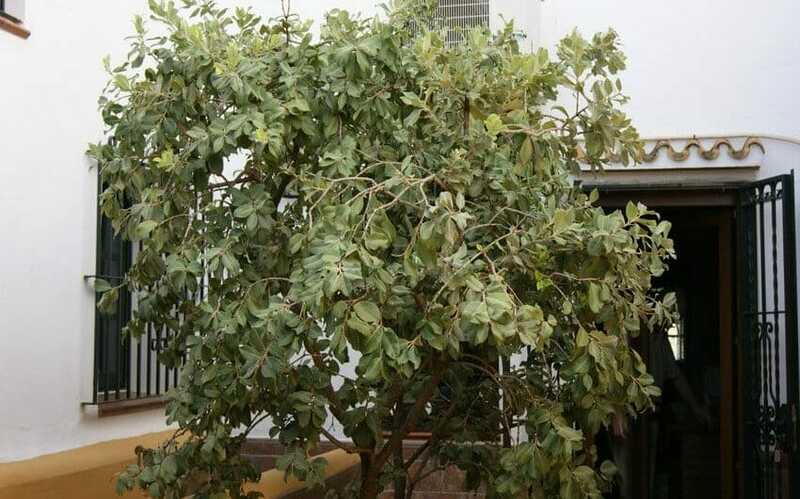 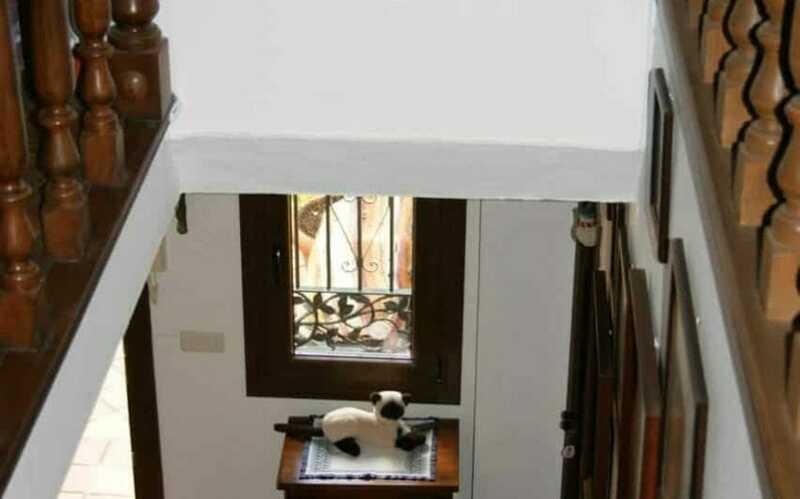 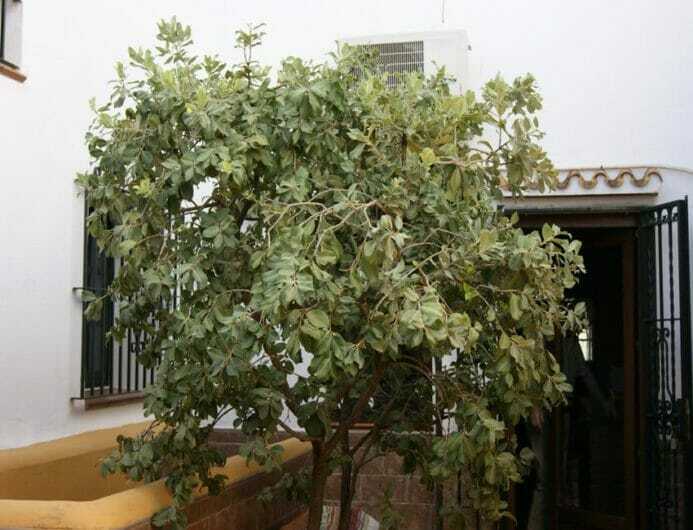 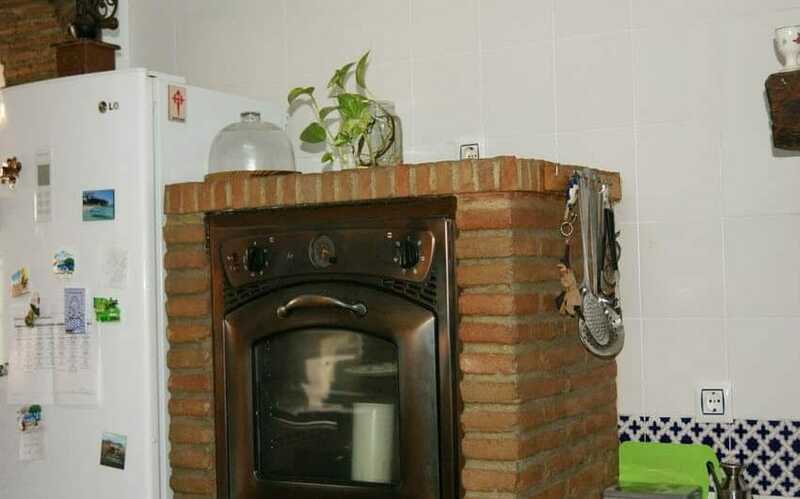 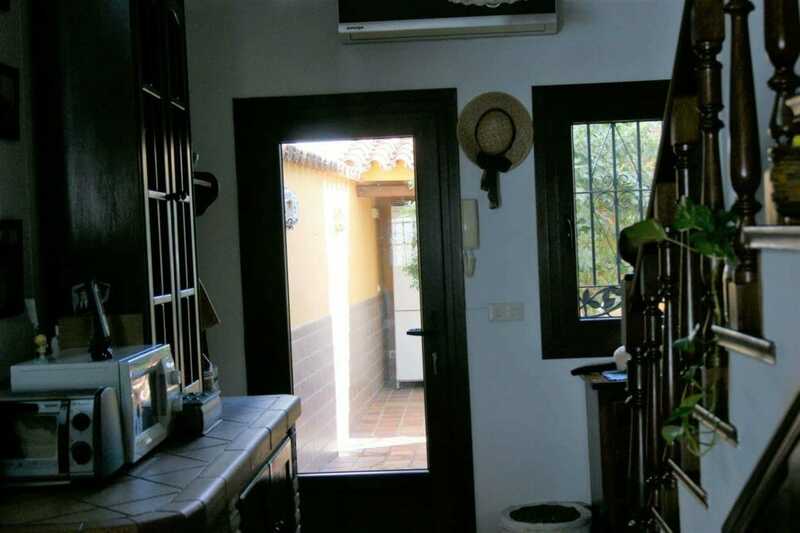 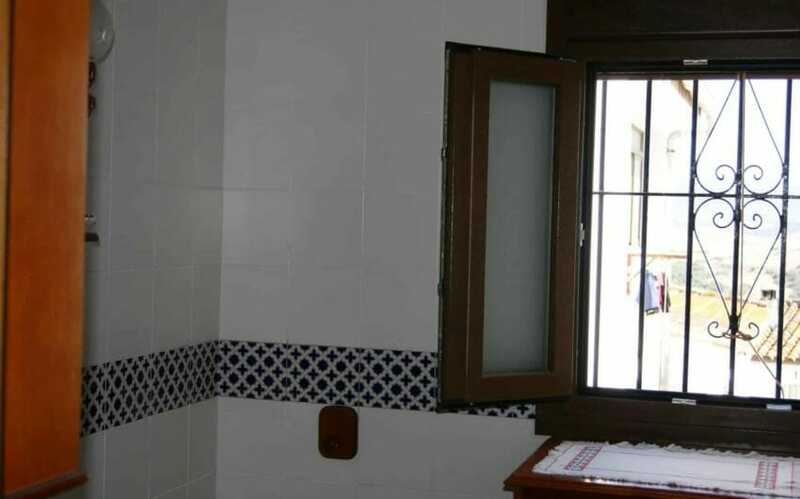 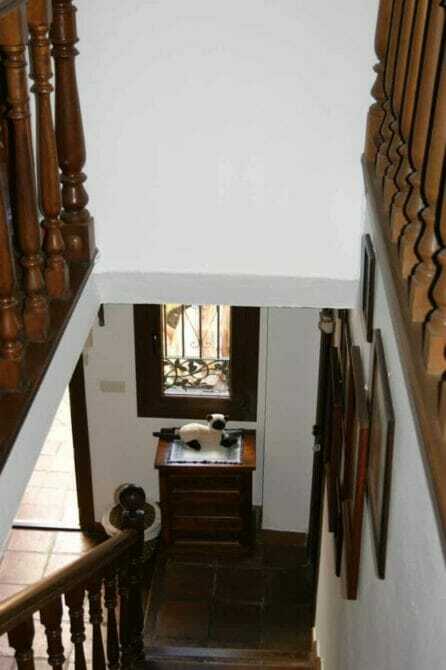 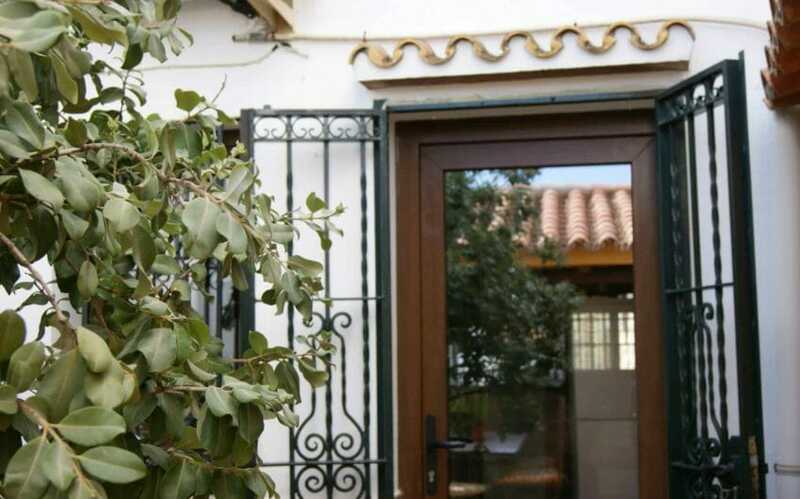 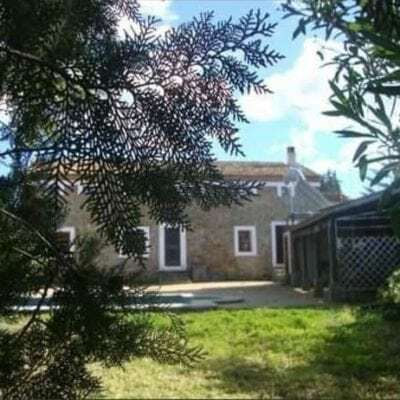 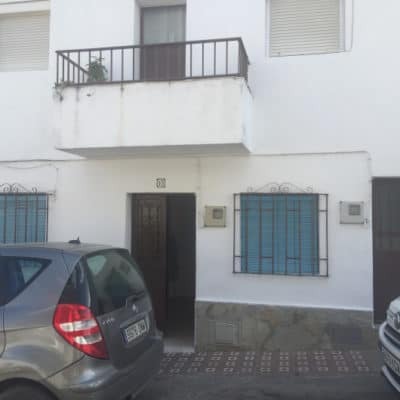 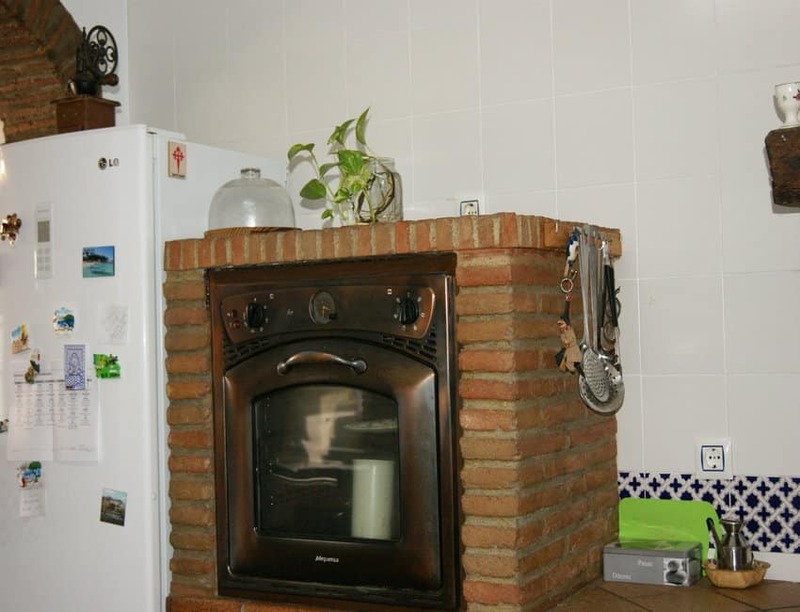 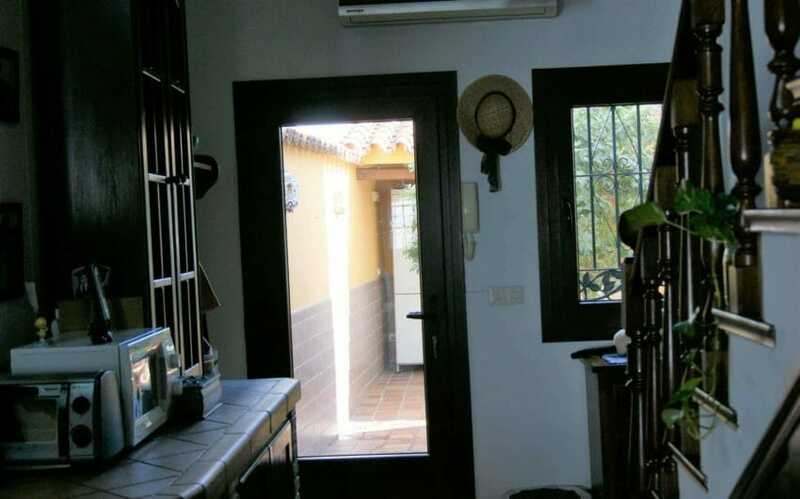 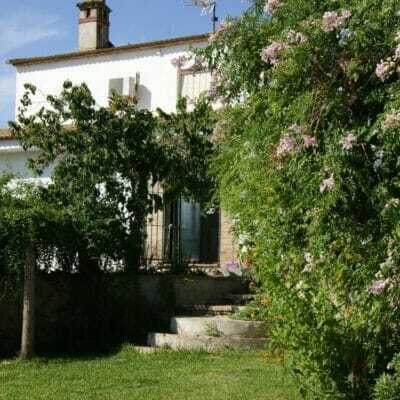 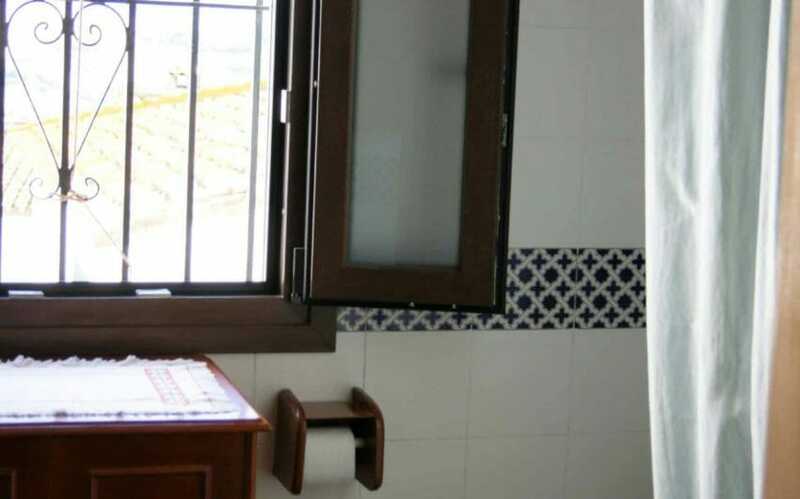 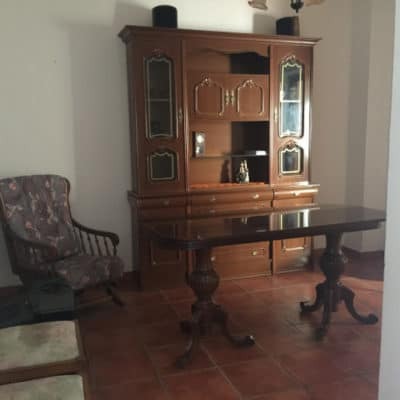 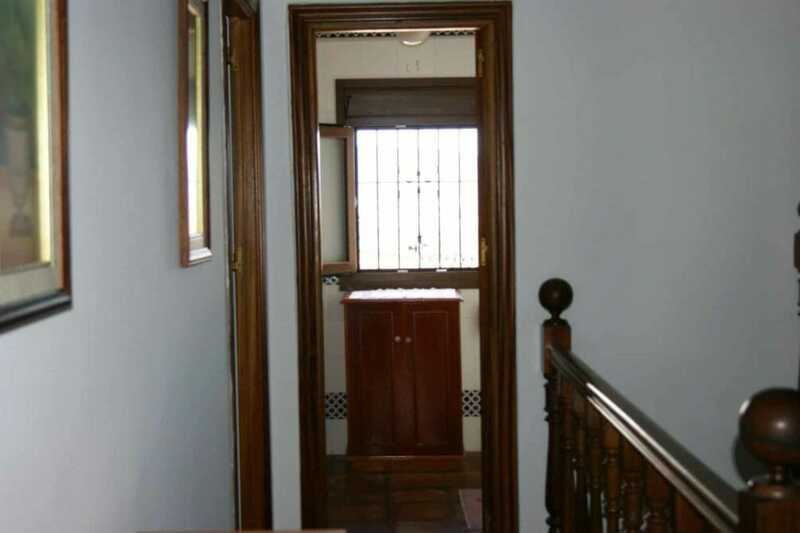 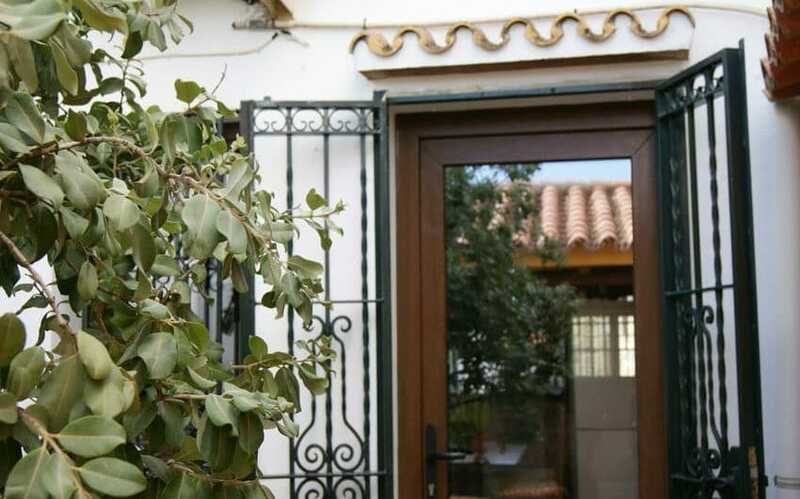 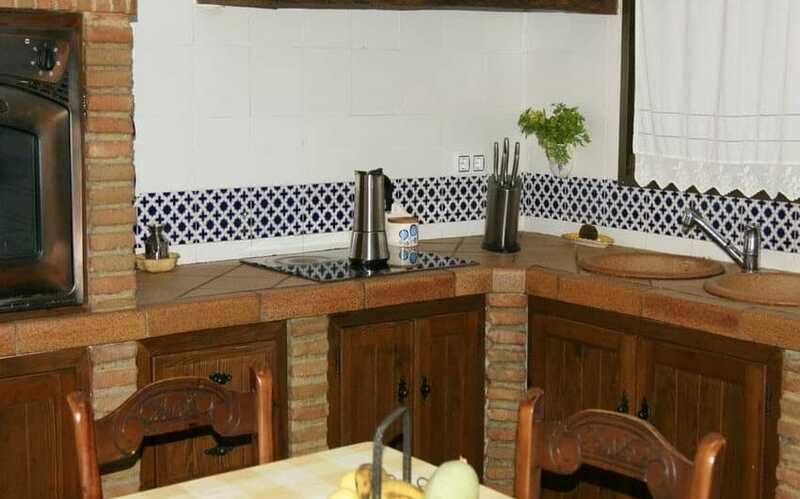 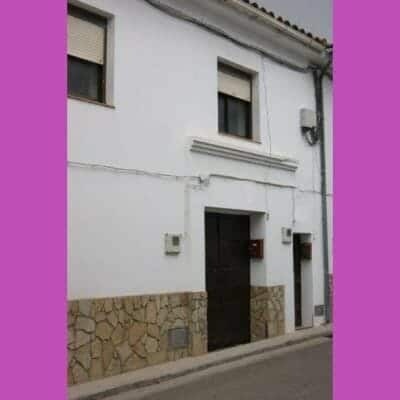 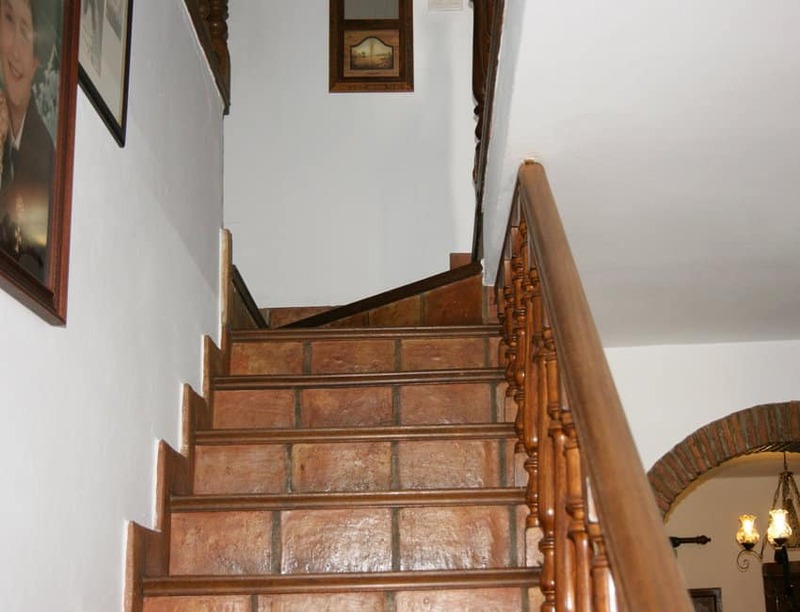 Rustic style townhouse in the historic quarter of Jimena de la Frontera. 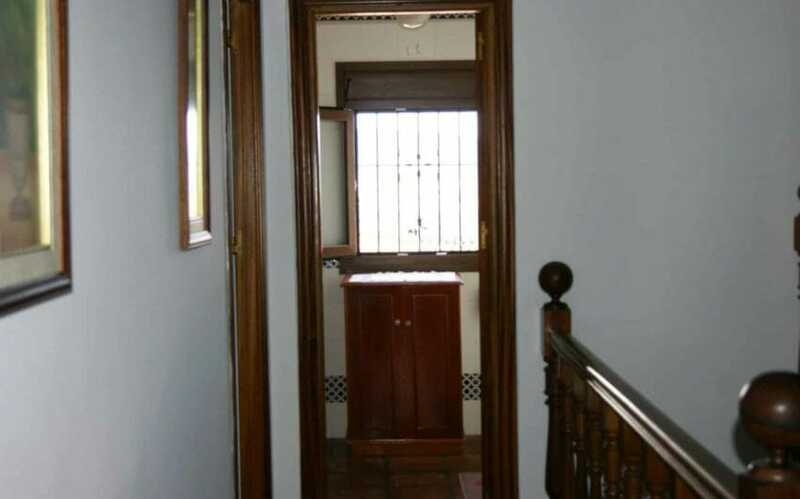 Bright, spacious property at a great price. 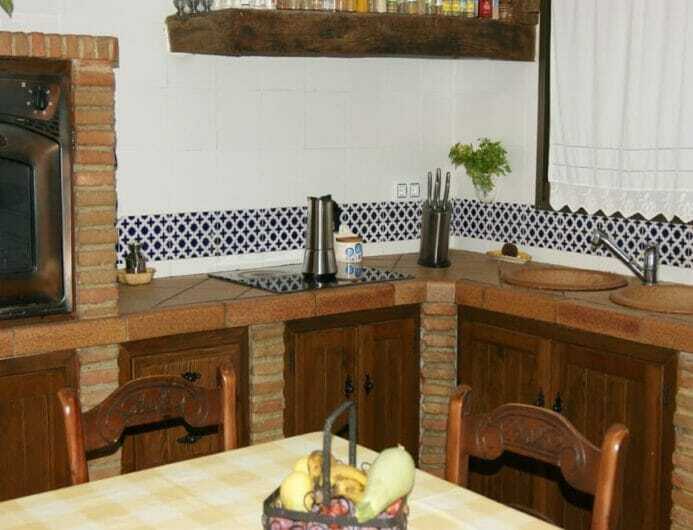 Large kitchen with dining area that leads out to charming patio. 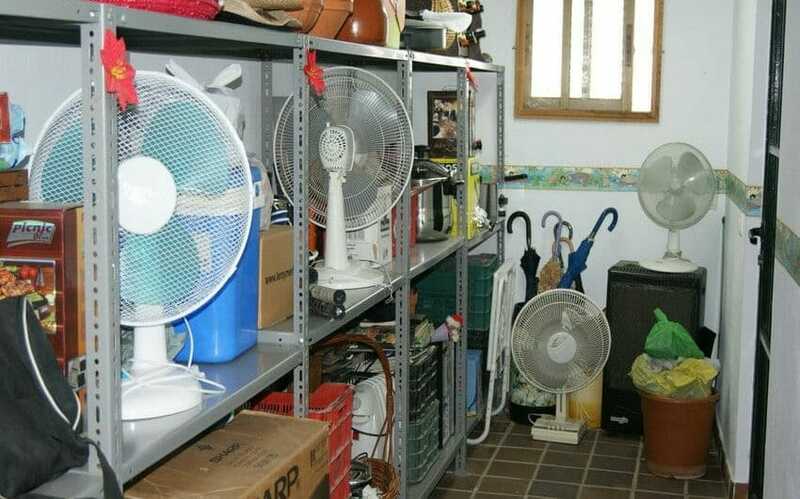 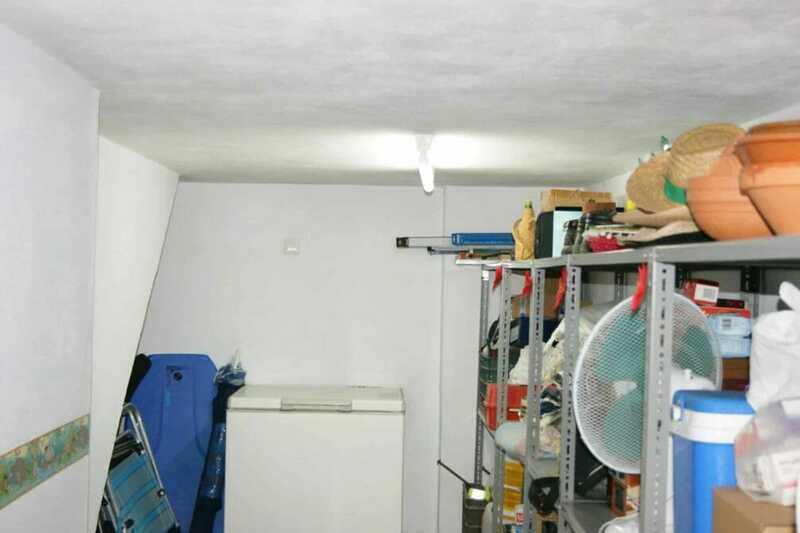 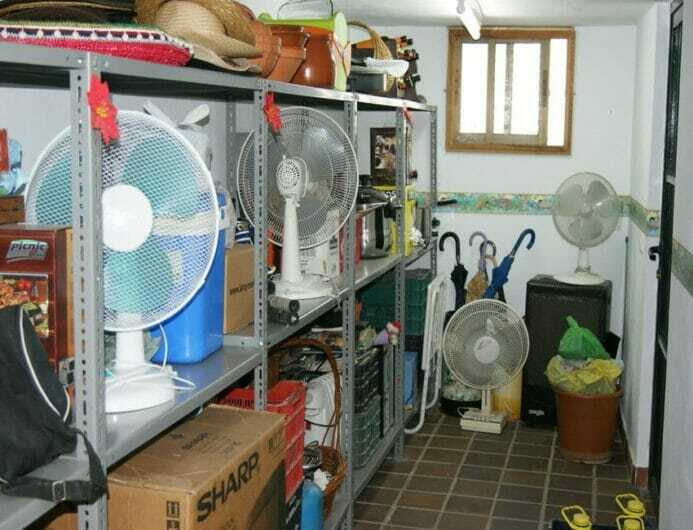 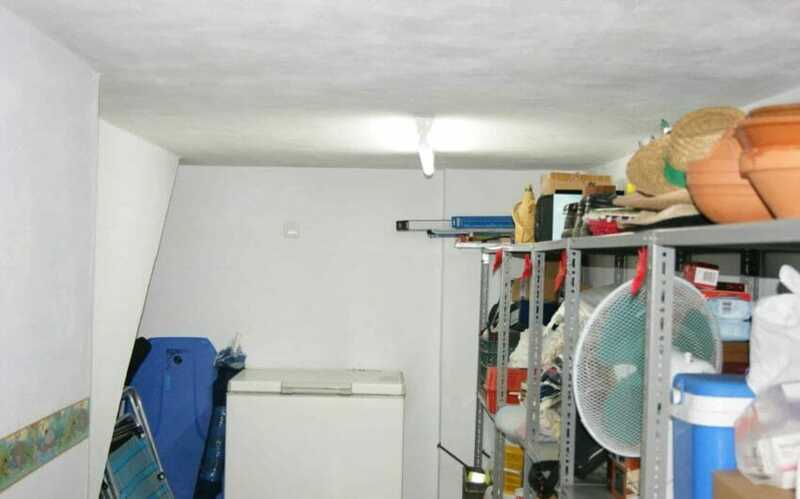 Very large storage room in basement which can easily hold bicycles, suitcases, Christmas decorations, etc, in short, all of the items that need storing. 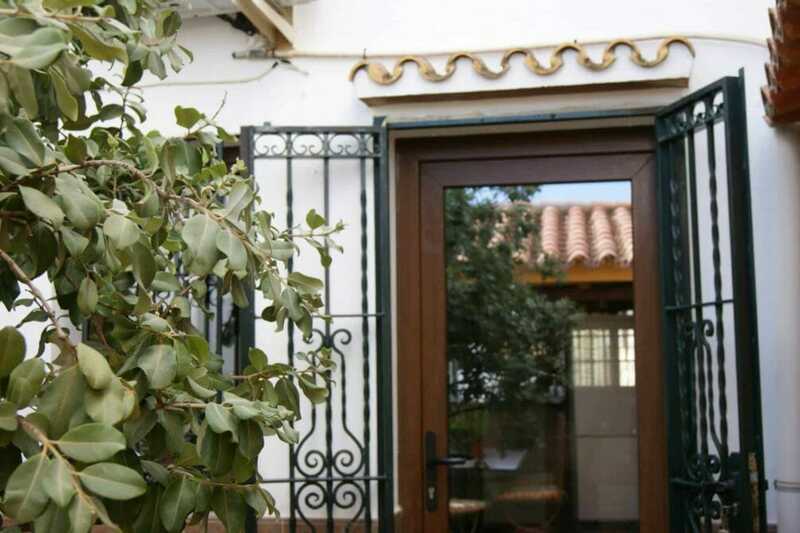 As you enter the property there is the patio, shaded yet sunny. 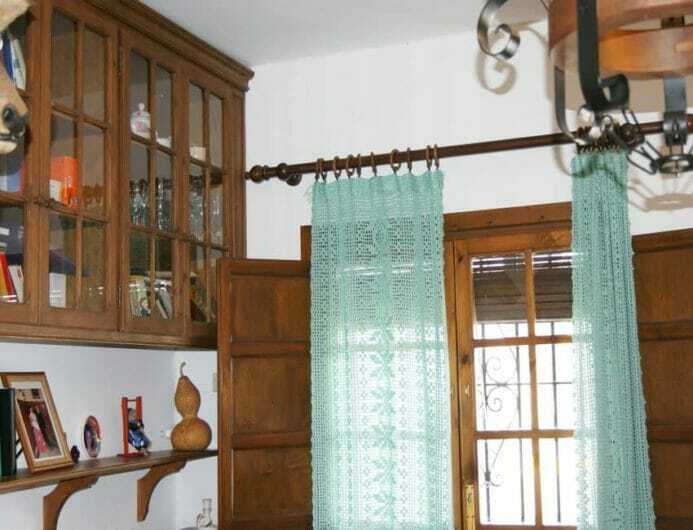 This leads into the kitchen and living area which beguiles with its rustic charm, warm and inviting. 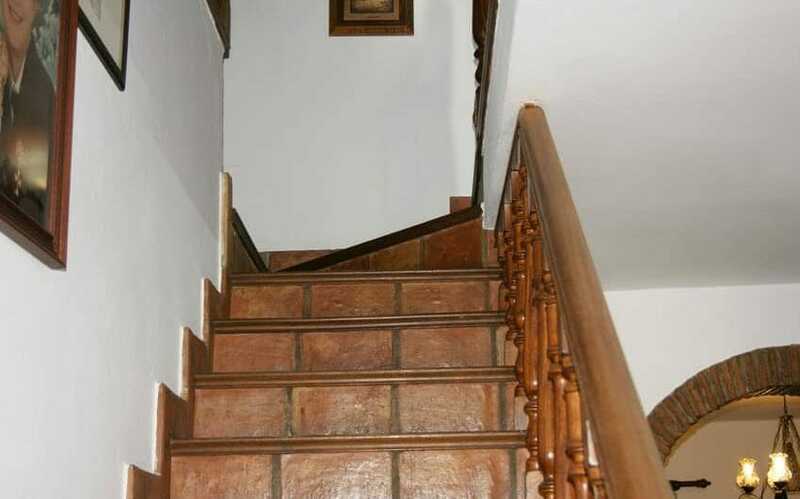 The very stylish and well constructed staircase leads to two double size bedrooms and a bathroom on the first floor. 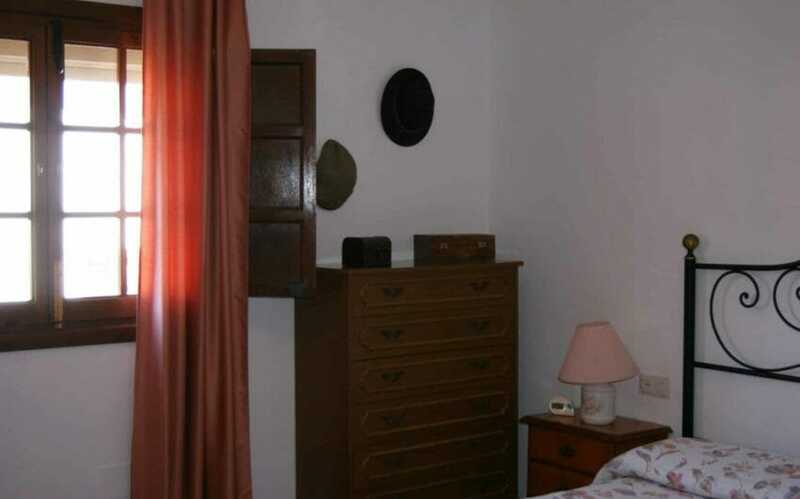 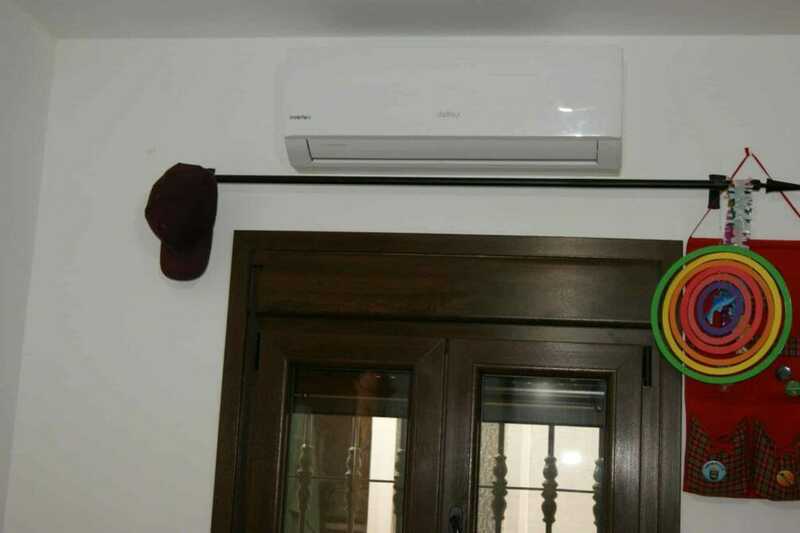 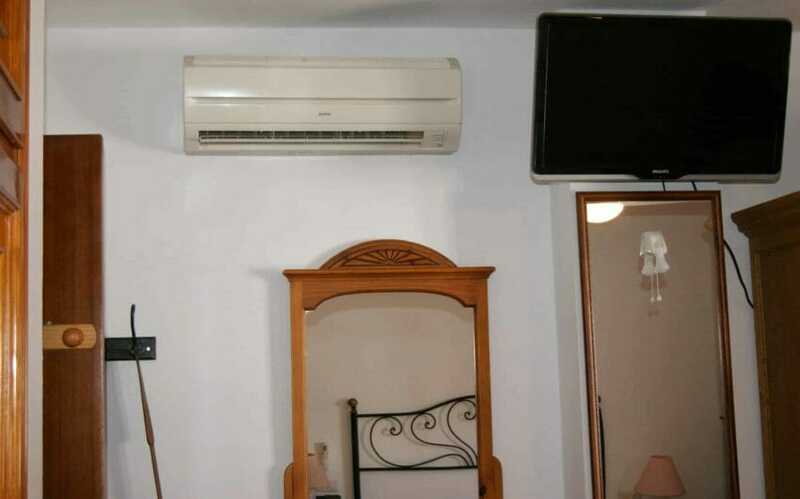 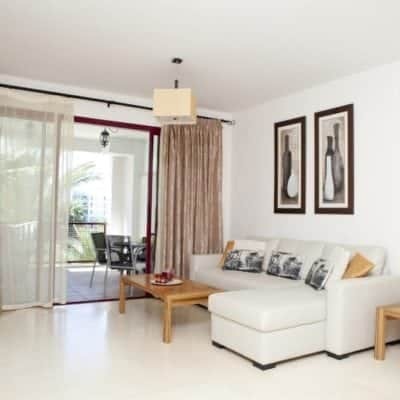 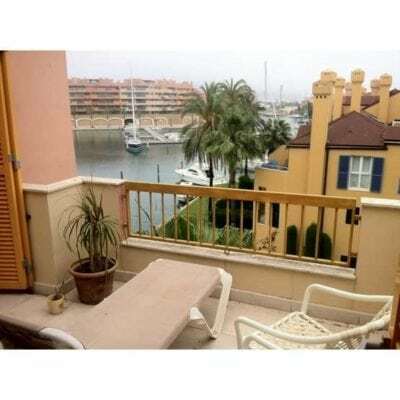 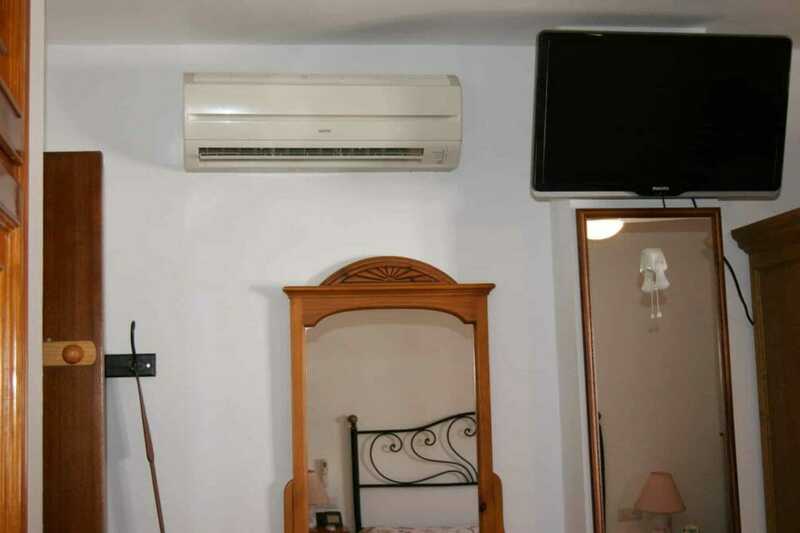 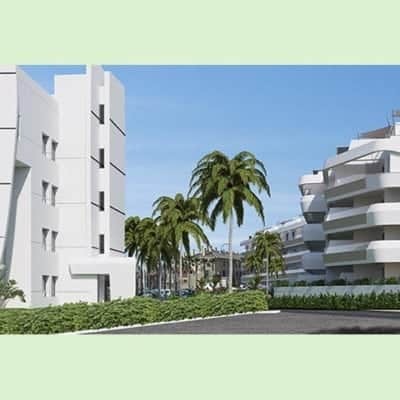 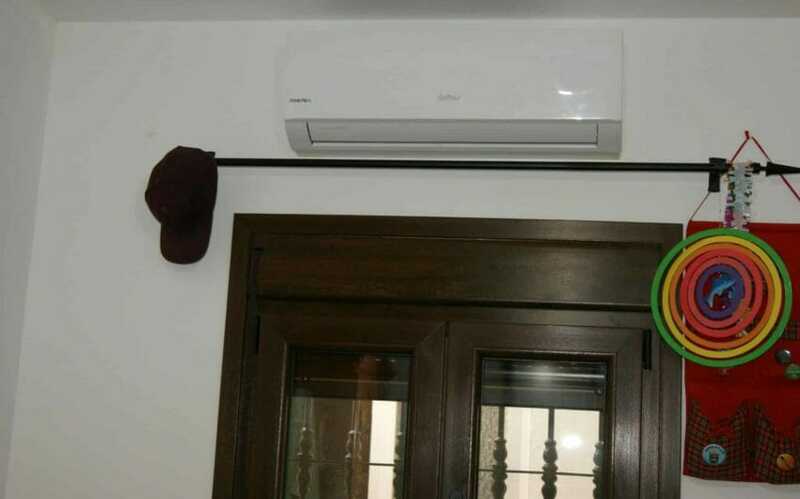 This comfortable property offers ceiling fans, double glazing and air conditioning throughout. 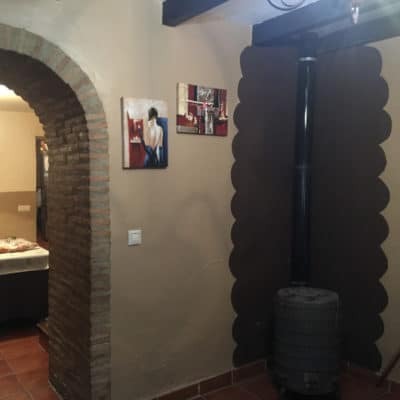 This home has all of the yearned for qualities of rustic charm blended with modern comfort to create a cosy and stylish place to live. 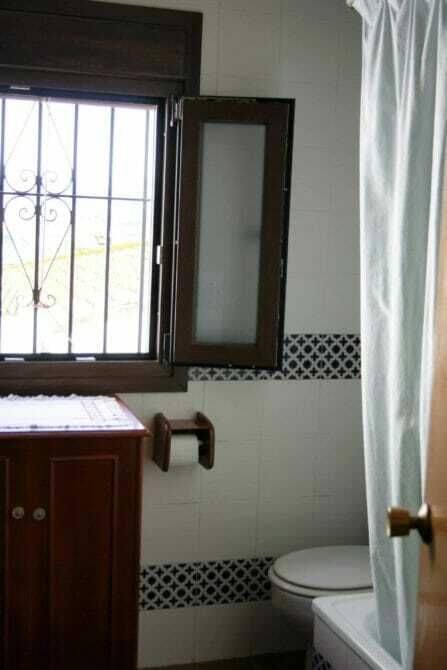 Majestic mountain views from the bathroom window, with a birds eye view of the surrounding foothills and mountains. 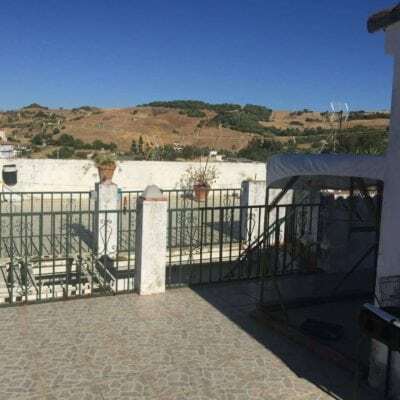 The terrace/patio is perfect for preparing barbecues with family and friends, or if you fancy eating out the home is close to excellent tapas bars. 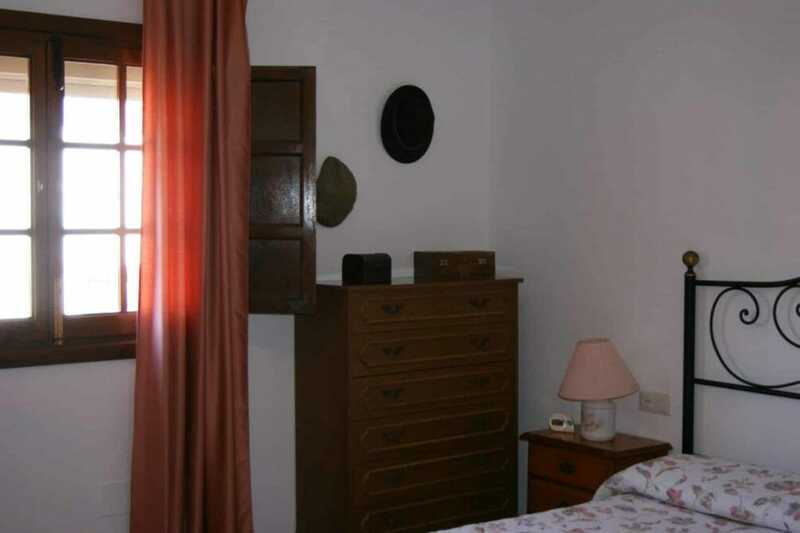 The property is joined to another property sharing the same title deeds, but can easily be separated at time of sale. 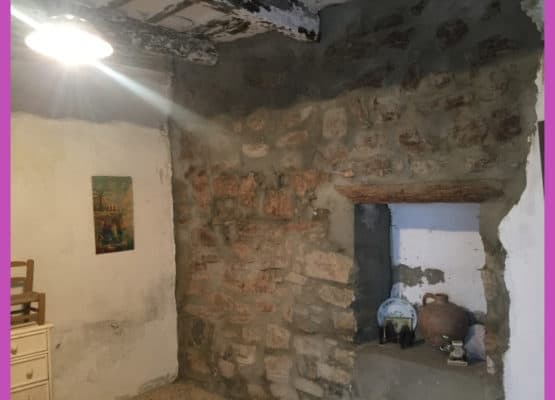 It is also important to know that this is a zone which has fibre optic and the WIFI connection is very good here. 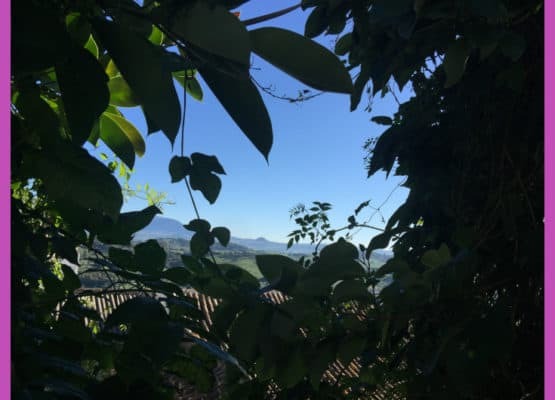 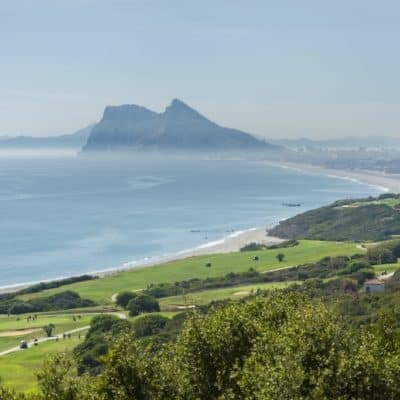 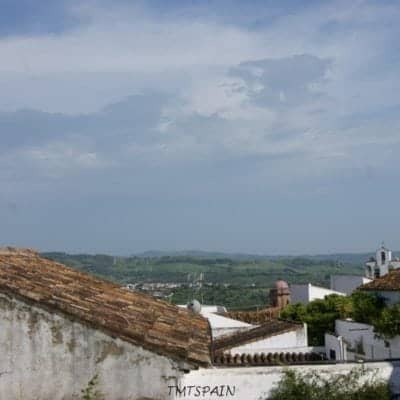 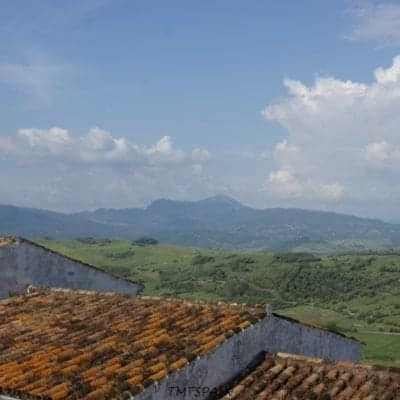 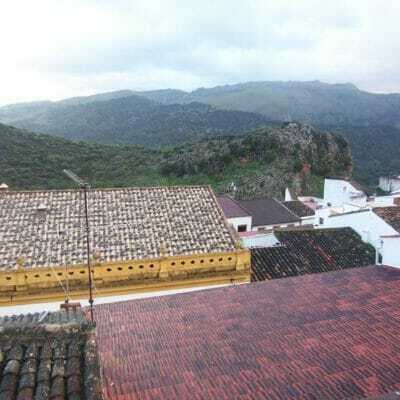 It is a great location on the borders of the Alcornocales Natural Park, yet in a village that is centuries old, combining the charm of a historic place with the infrastructure, entertainment and leisure facilities of a popular village ideal for people of all ages. 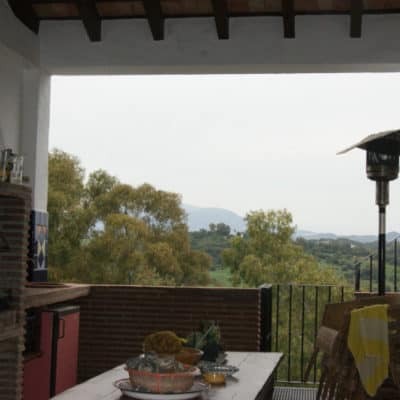 Restaurants and shops are close by; everything is close to hand – from schools to municipal swimming pool to the great outdoors.